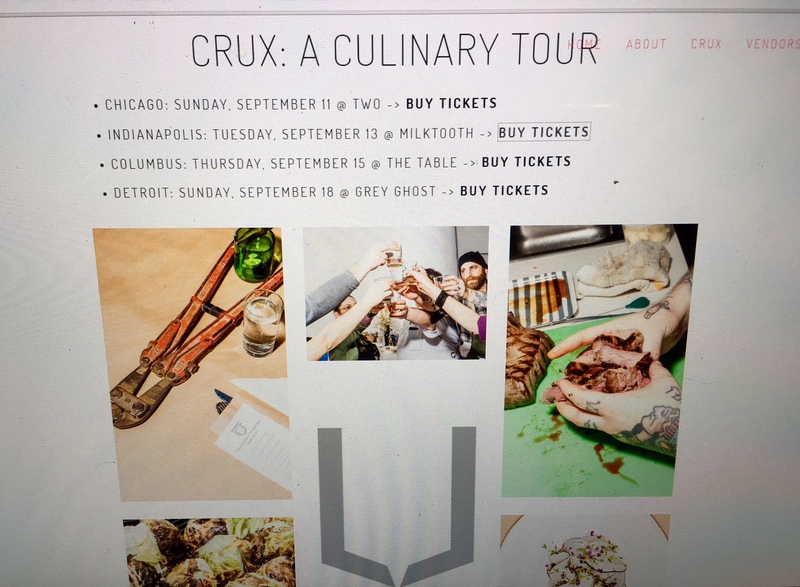 Crux hits Indianapolis with a collaborative dinner at Milktooth. I just found out that a handful of tickets have become available for the upcoming Crux dinner Tuesday at Milktooth, with chefs Jonathan Brooks and Brandon Baltzley, and you should probably grab them. Baltzley and his wife and co-chef at the Falmouth, Mass., Buffalo Jump, Laura Higgins-Baltzley, will join Brooks and chef Kyle Paton of Ontario’s Black Lodge pop-up for Tuesday’s dinner. This is the second time Baltzley’s Crux tour has hit Indianapolis; the last dinner was in January. Brooks is also cooking at Sunday’s dinner in Chicago. Like at other Crux events, the collaborative nature of the dinner is the appeal, and this lineup promises plenty of creativity. You can get tickets for Tuesday’s dinner here.